You know you want to live in Turkey for all or part of the year, but do you know what type of property you want to purchase? Join us as we explore the different builds on offer there. Dreaming of living near the sea and sand, with the sun on your back, is what drives most Brits to turn towards the expat lifestyle. But what type of property are you going to purchase to make this dream a reality? Your budget and chosen destination will impact this choice, as will your frequency of use. Let’s take a look at the types of property available to you in Turkey. The most popular choice for expat families is the villa. The most popular choice for expat families is the villa. It usually offers three or four bedrooms and provides the lifestyle they imagine abroad. A villa is a good choice if you want space, but once family and friends have stopped coming for holidays and the kids have flown the nest, the likelihood is that you will be left to run a very large property on your own. Given the council tax and utility bills, it might be wiser to opt for something smaller. Villas with swimming pools, barbeque areas and sun terraces are a mainstay of the property portfolio in Turkey. Remember that a pool does not run itself – especially if it’s a holiday villa – so enquire into pool services and costs, and the impact of electrical and water fees on top of your ordinary household utility bills. Alternatively, be prepared to invest some time and energy in maintaining your own pool. 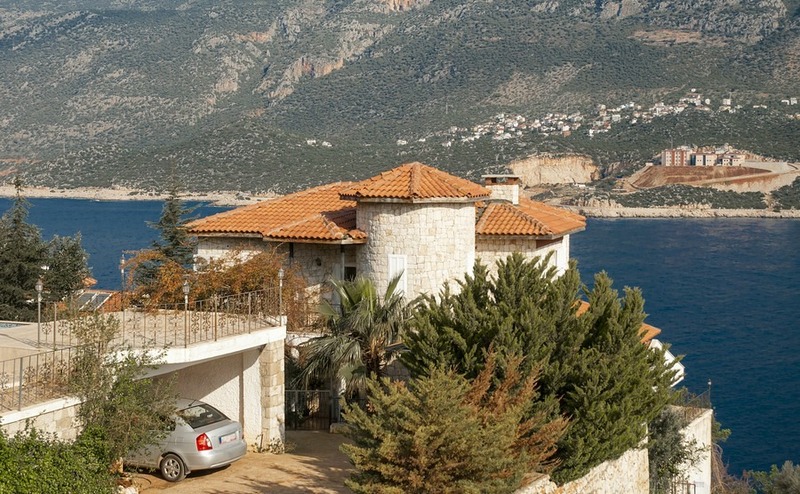 Over the last decade most expats or holiday home owners in Turkey have begun their life here by purchasing an apartment, before upgrading to a villa. A two or three-bed apartment is a fantastic holiday home option, but living in it full-time may well be a different story. Older expats may find access issues with climbing stairs, and a lack of transportation in winter close to their apartment blocks could leave them isolated. But on balance, this is the best option for budget-conscious investors who may see their apartments as rental generators. Two floor apartments with up to four bedrooms offer villa-esque space in an apartment block. These are great for families buying on a budget. Four or more villas linked in a square means that communal swimming pool and garden costs are shared. These villas are ideal for affordable community living in the summer. Being on good terms with your neighbours is a must with this type of arrangement. Living on a complex affords shared communal rights and facilities like a swimming pool and gym. You can enjoy the community spirit, or simply keep yourself to yourself. Living on a complex full-time is a great way to meet fellow expats and forge lasting relationships. Whatever type of property you wish to live in when you get to Turkey, knowing how to negotiate for your property should get you a little more house for your money! Download our guide: How to Negotiate Abroad. Essentially small two- or three-bedroom detached or semi-detached villas, but on a Turkish-run complex. It means you can test your language skills, enjoy the camaraderie of full-time neighbours and make friends for life. Equally – as with complexes – be sure of your ground rules, for example, do they allow for pets?